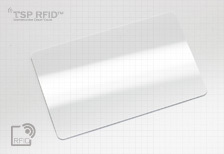 The RFID card lamianted with MITSUBISHI thermo rewritble layer. Option on blank card or printing over the rewrite layer, rewritble text are in blue or black. With directly supply aggreement with MITSUBISHI we laminated the rewritble card with high quality rewrible layer in Black text, quality is steady and with fast delivery time. 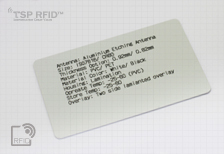 The card format can be LF/ HF/ UHF, or combo. 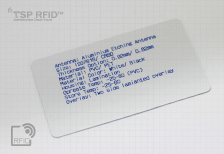 With directly supply aggreement with MITSUBISHI we laminated the rewritble card with high quality rewrible layer in Blue text, quality is steady and with fast delivery time.